This is the lovely intricate Exotica font available free for commercial use from Fontsquirrel.com. I am having a break without leaving my blog. Thank you Exotica! As per normal, please click on the image above to Save to your hard disk or Open in a new tab to print out. 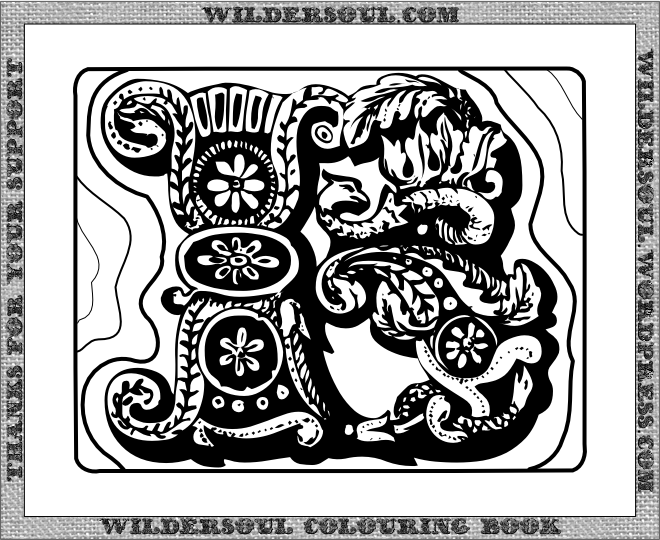 These colouring pics will be available for free until Feb 8, 2014 unless something unforeseen gets in the way. The bitmap image size is 660x540px. The resolution is slightly higher than screen quality, at 90dpi, which saves on download file size, and printing ink. Check out the updated About page for the latest news. How small can these headings get?